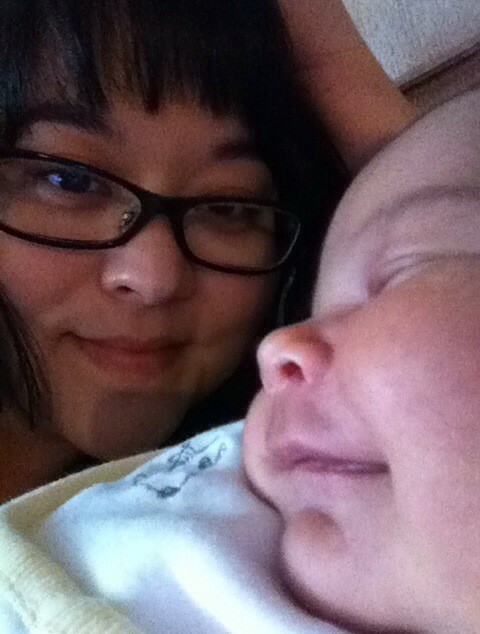 I realize how blessed and lucky I am to have the opportunity to finally be a mother, a privilege which is denied to many. I don’t take this gift for granted, and I am thrilled that I will finally be part of the “mommy club” for Mother’s Day. I also realize how lucky I am to have a living mother, mother-in-law, and honourary chosen mother in my life as I celebrate my first Mother’s Day with a child of my own. Why, then, do I still feel so sad when I see all of the ads for Mother’s Day promotions? Why does my heart hurt when I think about this day that is meant to celebrate me, a mother, and all of the other wonderful mothers in my life? When I was a new supply teacher covering for a full time teacher on maternity leave, I read a typical heterocentric Mother’s Day story and did a typical Mother’s Day craft with my first class of elementary school students. A little girl in my class asked me if she could give her craft to her dad’s girlfriend. Of course I said “yes”, as the children were allowed to make multiple gifts for the important women in their lives, including aunts, grandmothers, babysitters, sisters, etc. I had purchased enough materials for each child to make up to 4 gifts as needed. I watched as this sweet girl took enough materials for only one gift, then gently asked if she wanted a second set. She politely declined and set about making a beautiful present for her Dad’s girlfriend. Later that day she asked to stay in with me at recess. This was not an unusual request, as she was a shy girl who sometimes found social interactions with her peers on the playground to be overwhelming. We had a deal that if I was on yard duty outside she could walk with me outside if needed, and if I was eating my lunch she could stay inside the classroom with me if she needed to talk. She usually took me up on the offer once or twice per week. On this day she told me why she wasn’t making a present for her mom. Her mom had died after experiencing a massive infection from a self-inflicted wound. I was shocked and absolutely horrified that I had spent so much time focusing on Mother’s Day, a sad reminder of grief and loss for this student. She had a woman’s name listed on her parent information form. I had assumed that this person was her mother. This was a school where parent teacher conferences were requested but not often attended, as parents were often too busy trying to hold down multiple part time jobs to chat with a teacher about something as insignificant as a home reading program. I had never spoken with anyone at her home, because they couldn’t afford to pay their phone bill for much of the year. This girl left a huge impression on me, and changed the way I look at how we have traditionally acknowledged Mother’s Day in elementary schools. I had already thought about downplaying or dealing more sensitively with Father’s Day in my class, since many of the kids in my class did not live with their fathers, some were not allowed to see theirs (court ordered) and a few had never met their fathers. Why had I not considered that Mother’s Day might be painful for students as well? What about kids with two dads and no mom? What about kids with an abusive or neglectful mother? (Is it right to force a child to write a card to his abusive mother to say how great she is and how much he loves her?) What about an adopted child who has conflicted feelings about her birth mother and unresolved abandonment issues? There are so many reasons why Mother’s Day could be painful for a student, and here I was making a big deal out of the day, just as my teachers had done when I was a child. Fast forward a few years. I’m once again celebrating my mother and mother-in-law on Mother’s Day, trying not to cry as once again I am grilled with the all-too frequent and dreaded question: “Why haven’t you had kids yet?” As if it was as easy as just wanting to have kids. As if I hadn’t spent every waking moment for several years praying, researching, and desperately trying to find out why my body just would not let a baby survive inside of it. Mother’s Day is super-charged with emotion for so many of us, even those of us who are lucky enough to finally be “in the club”. Some can’t have biological children no matter how hard they try. Some have been devastated by having an adoption fall through. Some have babies in heaven, some lost so early that nobody but us will ever know they existed. Some have buried a child. Some have buried a mother. Some are estranged from their mothers. Some are childless because the right person never came along, and age has now closed the window of opportunity. Some have been abused or neglected by a mother. Some were abandoned by a mother. The list goes on and on… There are so many hurting hearts as we approach this day, the original intention of which was to uplift and celebrate. 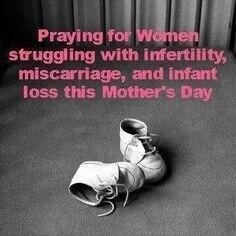 My heart is aching for those who are left behind this Sunday, those who hurt inside when they see yet another advertisement for Mother’s Day gifts. Those who face another day without the child they yearn for or have lost, those who soldier on without the love of a mother they wish they had or one they have lost. One day all of this pain will hopefully make sense… but for today I send love to everyone who is dreading Mother’s Day, and pray for you to find strength and peace in your situation. Awww thanks for the kind words, Lauren. Glad it resonated with you. I write this blog as my personal therapy musing tool so it’s nice that others can connect to it once in awhile.